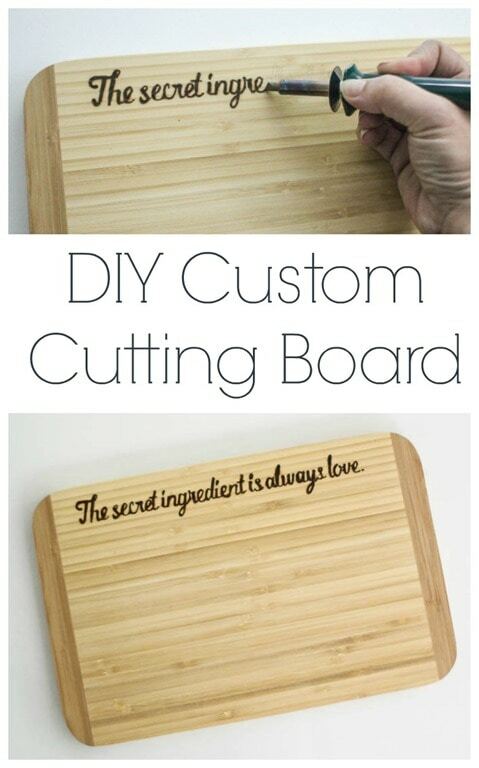 DIY custom cutting board - Lovely Etc. This is a sponsored conversation written by me on behalf of World Market. The opinions and text are all my own. 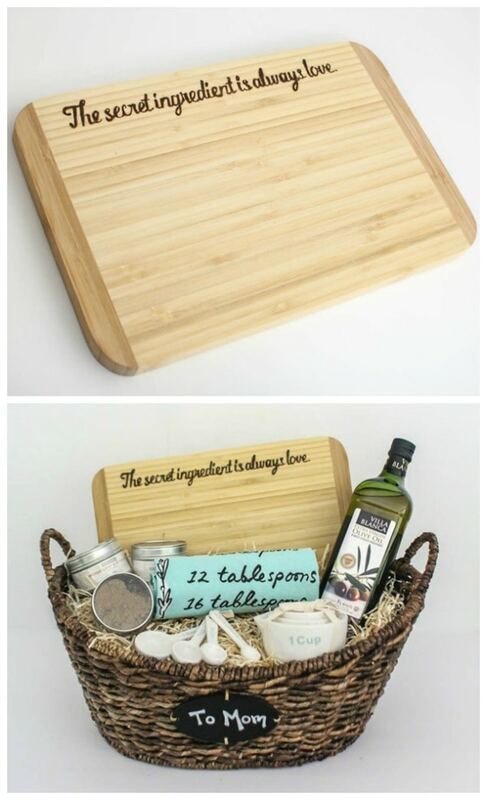 I have a great gift idea to share today: a DIY custom cutting board. My absolute favorite gifts are the ones that are both meaningful and useful and this one checks all the boxes. This would make a perfect hostess gift, neighbor gift, or wedding gift, but I’m planning to use it as a fun Mother’s Day gift. My mother-in-law is a great cook and she loves cooking. I think cooking might just be her love language. 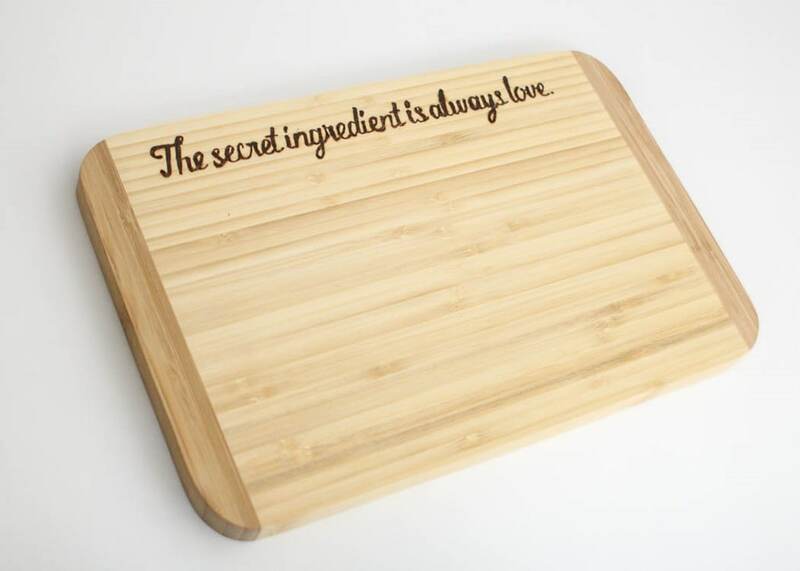 So a personalized cutting board seemed like the perfect gift that’s both practical and meaningful. One of the great things about this project is it requires very few supplies. 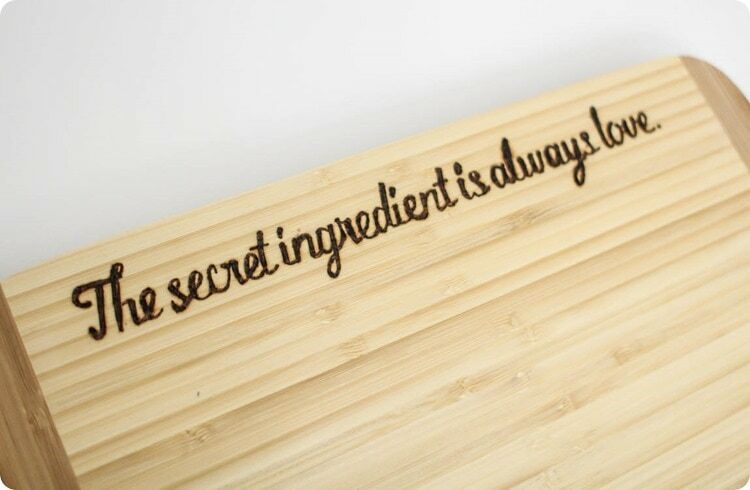 You need a cutting board and a basic wood burning tool. 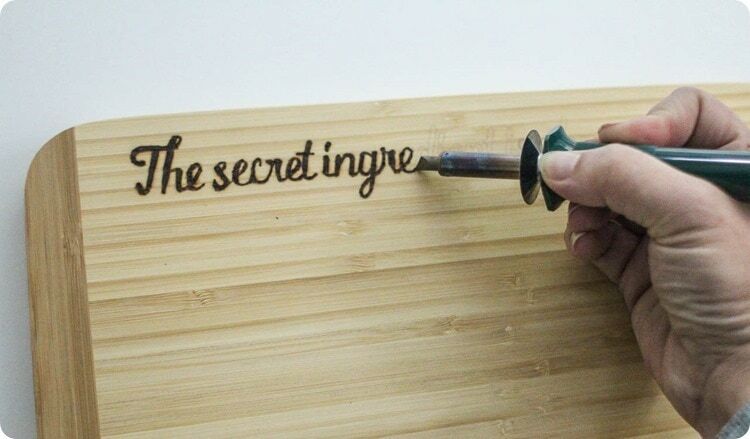 If you’ve never tried wood burning before, it isn’t nearly as hard as it seems. You may need to practice a bit, but you can definitely do it. 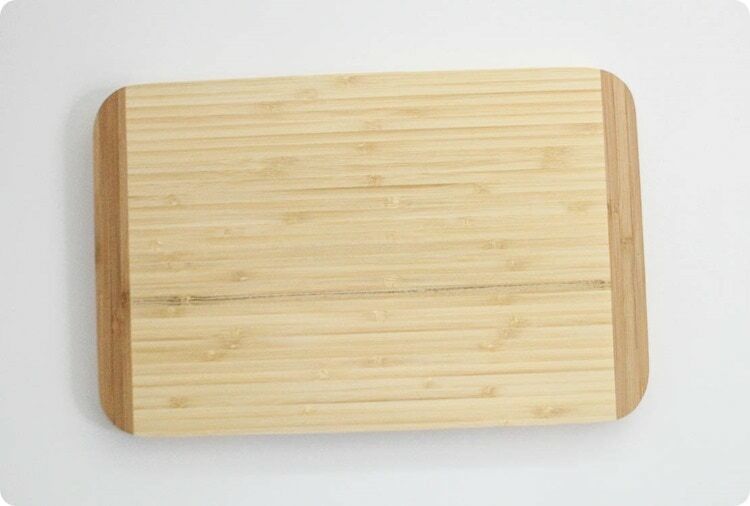 I started with this cute little basic bamboo cutting board. 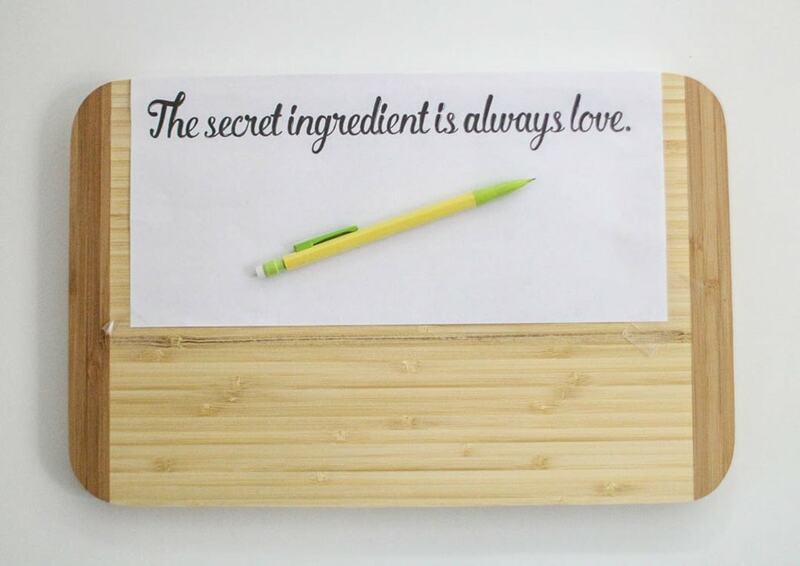 I printed out my saying in a cute font and transferred it onto the cutting board using a simple pencil transfer. (Not sure how to do that? I have simple instructions here.) If you want to use the same saying I did, you can simply print the image above on regular printer paper using the landscape setting. Once the design was transferred, it was time to do some wood burning. First I practiced a bit on a piece of scrap wood to get the feel for the wood burner. Then I carefully traced the design I had transferred. It is easiest to turn the cutting board as you work and to pull the tool toward you rather than pushing it away. Try to use smooth, even strokes as much as possible. I love how sweet and simple it is. 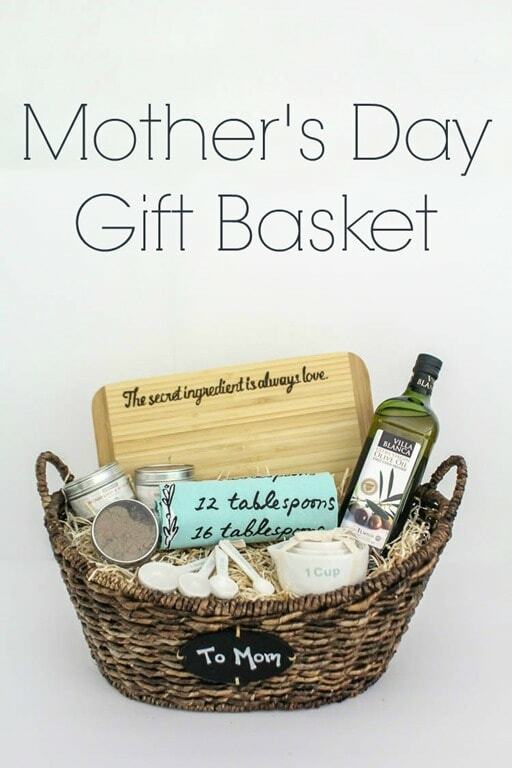 And if you still need a gift for another mother in your life, here are plenty more Mother’s Day Gift Ideas. 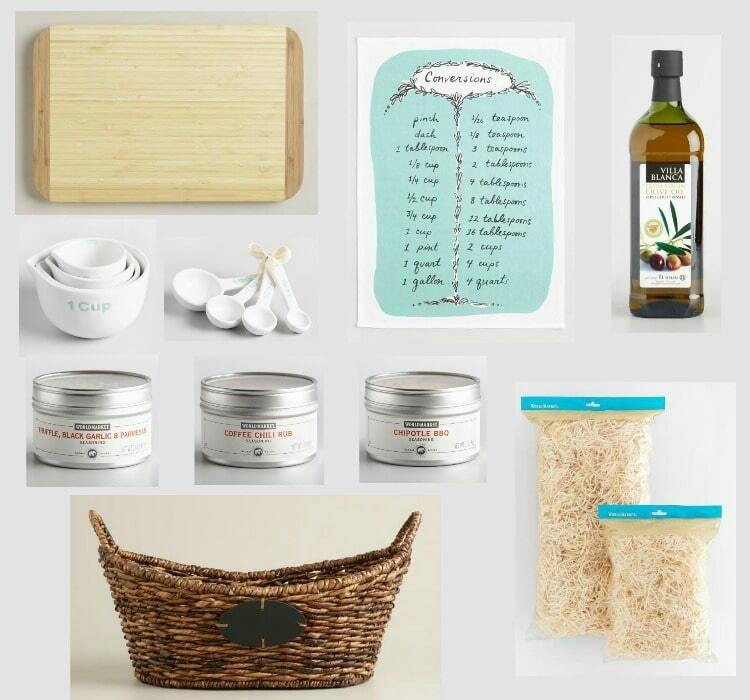 Want to create your own gift basket for someone special who loves to cook? Below are links to everything I used in my own gift basket. Want to win your own World Market shopping spree? 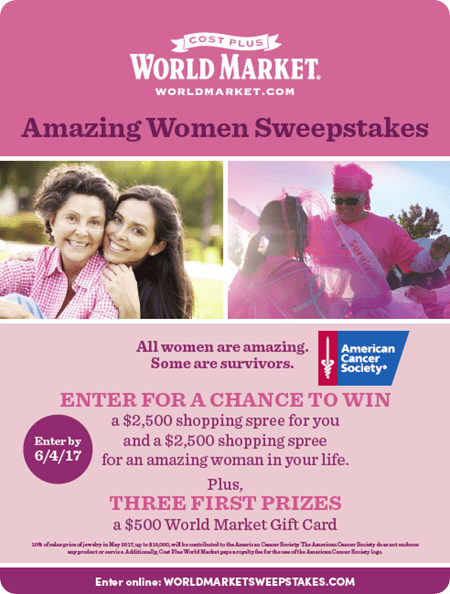 Enter World Market’s Amazing Women Sweepstakes online at worldmarketsweepstakes.com for a chance to win a $2,500 World Market shopping spree for you and a $2,500 shopping spree for an amazing woman in your life. Or win one of three first prizes: a $500 World Market gift card. Enter by 6/4/17. Also, throughout May, you can participate in the Mother’s Day Dazzle and Donate promotion. When you buy your favorite jewelry, 10% of the sales price, up to $10,000, will be contributed to the American Cancer Society. Find out more here. This is so clever! LOVE it! Such a great gift idea.